Peter Trippi, editor of Fine Art Connoisseur, gave a lecture at the Grand Central Academy yesterday. Trippi helped curate "J.W. Waterhouse: The Modern Pre-Raphaelite" now on view at the Montreal Museum of Fine Arts. I was surprised to see how strongly feminist Waterhouse was in his choice of subject matter. 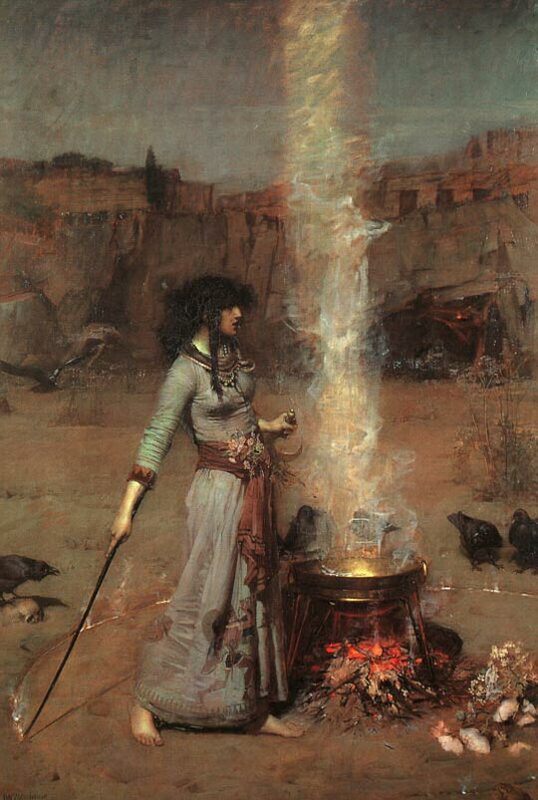 Here are a couple of examples: "Magic Circle" (1886) shows a witch drawing a circle around herself and her cauldron. "Circe Offering a Cup to Ulysses" (1891) shows one of the original femme fatales in a regal pose. She is a powerful and treacherous woman who manages to bed the wily Ulysses who stays with her for an entire year. 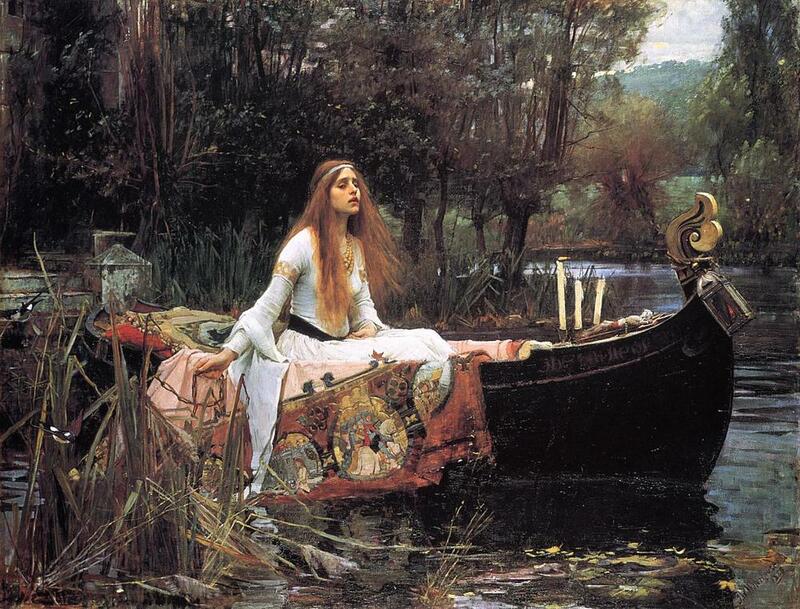 Of course Waterhouse's most famous painting-- which I am lucky to have stood in front of a few times in my life-- is "The Lady of Shalott" (1888), which usually hangs in the Tate in London. I always read Tennyson's poem and thought of her as a passive woman, but Trippi pointed out that her story is the plight of the Victorian woman, imprisoned in her tower, sewing her tapestry and only able to look at the world when its activities are mediated through a mirror. When she decides to gain knowledge of the world for herself by looking outside, the mirror cracks and she is as good as dead.